One of the great things about camping is that there are so many different types of campgrounds and ways to do it. However, not all campgrounds are created equal, so we’ve rounded up six of the best family campgrounds around Utah. Here they are, working our way up the state from south to north. 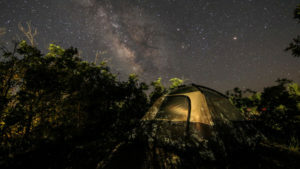 Camping trips to national parks are a tradition for many families, but most parks offer up their campsites on a first come, first served basis or sell out way in advance. Avoid that disappointment by booking at Zion Crest Campground. Located on the East Zion plateau above Zion National Park, Zion Crest Campground is nestled at 6,500-feet elevation in the cool shade of ponderosa pine trees on the rim of Jolley Gulch. The tent campground has plenty of spacious tent sites, and newly constructed shower house, bathrooms and laundry. 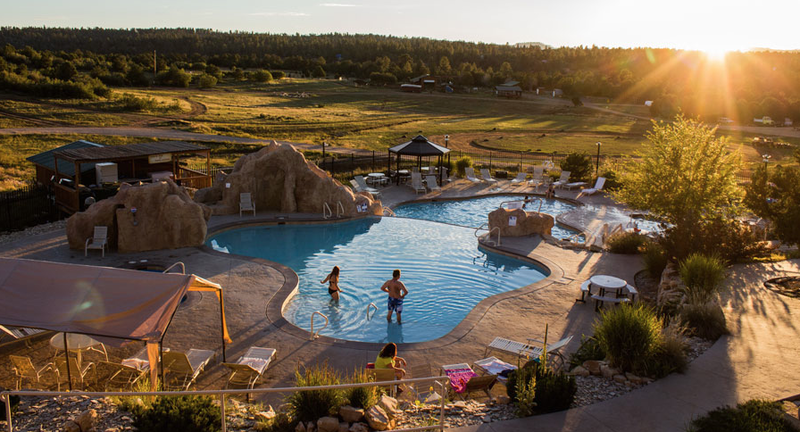 Campers have access to hot showers, picnic tables and grills, free WiFi, on-property dining, a two-tiered pool and hot tub, plus tennis, volleyball, basketball and more. Furry family members are welcome in our camping areas! Area attractions include Zion Park, Bryce Canyon National Park, Grand Canyon North Rim, Coral Pink Sand Dunes, Cedar Breaks National Monument, and Grafton Ghost Town. Zion Ponderosa Ranch Resort offers the largest selection of on-property activities in the Zion area and has been named one of the Top 6 Adventure Resorts in America by U.S. World News and Travel. Experience Jeep tours, ATV trails, horseback riding, world-class canyoneering, hiking and many more family-friendly activities. Zion has the most kid-friendly trails, so for families looking for hikes for multiple ages, this is the best family campground for you. With so much to do and see in Zion, plan on unpacking once and staying for a while! For Zion Crest tent camping reservations, please call 1-866-293-5444. Moab is known for four-wheeling and whitewater rafting, and of course proximity to Arches National Park, Canyonlands National Park and Dead Horse State Park – making it a great family camping destination. 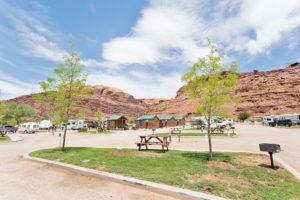 Moab Valley RV Resort and Campground features a playground, putting green, life-size chessboard, horseshoe pit, heated pool and hot tub, dog park, bike wash station and a convenience store. Free wireless internet access is also available, but this just might be best family campground in Utah to get the kids to put down the electronics and unplug. In the heart of beautiful Heber Valley, Wasatch Mountains State Park is a best family camping destination open for summer and winter activities. 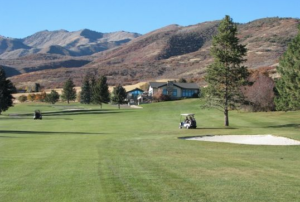 Soldier Hollow, the 2002 Olympic winter venue is located at the park’s south end with fun activities such as tubing, cross-country skiing and hiking. The campground features a concessions area, clean bathrooms, hot showers and picnic tables. The proximity to Park City Outlets makes it easy to do a little shopping and get dinner with the kids. 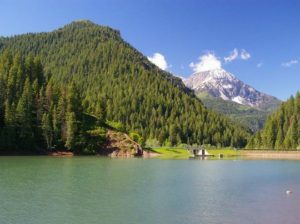 Located in American Fork Canyon, just above Tibble Fork Reservoir, Granite Flats campground is a good choice for families looking for a variety of outdoor activities like fishing, canoeing and hiking for all ages. The campground is located near the Timpanogos Caves, Scout Falls and Silver Lake trails. The trail leading to Timpanogos Cave is especially beautiful, as is the drive through American Fork Canyon. Once at Granite Flats, you’ll find basic amenities such as bathrooms, hot showers and picnic tables, plus family-friendly extras like baseball fields and horseshoe pits. Unique in that it’s attached to a water park and amusement park, the Cherry Hill campground tops the list of best family camping in Davis County. There are 180 shaded and level campsites nestled among 700 trees, plus RV sites with hookups. Full camping services are available April 1 through October 31, including showers and bathrooms. 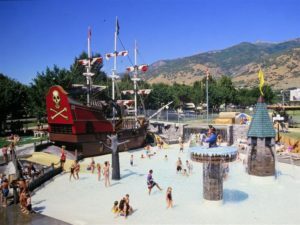 The attached water park features a 40-foot pirate ship, lazy river and water slides. Families can also enjoy mini golf, Jungle Maze, Battlestar Blasters, The Rock, Hamster Haven and other campground attractions. Pitch your tent, park your RV, or unpack your bags in a private cabin at the Bear Lake KOA campground in Garden City, Utah. This family-friendly campsite is conveniently located on North Bear Lake Road, about halfway between the Utah and Idaho ends of beautiful Bear Lake. Dubbed the “Caribbean of the Rockies” because of its turquoise blue water and sandy beaches, the 20-mile long Bear Lake is a mecca for family activities like swimming, boating, sailing and water play. 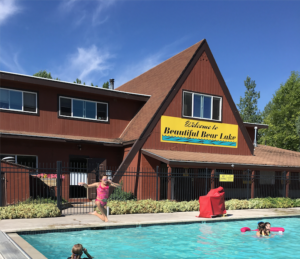 The Bear Lake KOA boasts a variety of cabin styles, tent campsites and RV parking, as well as a heated pool, jumping pillow, grocery store and fun on-property activities that put it at the top of the best family camping in Utah. Be sure to top off your weekend with a famous raspberry shake! Unwind, unplug and get out in the great outdoors with these best kid-friendly campgrounds in Utah. The priceless memories you create will be unforgettable. Happy camping!